Höga kusten (Hight Coast) is one of my favorite places in the world. It’s so beautiful – almost everywhere you look the nature is inspiring and great. Last summer I tried to paint (with my watercolours) the sunset behind the spruce forest, but the colours kept changing and my painting too… hehe. 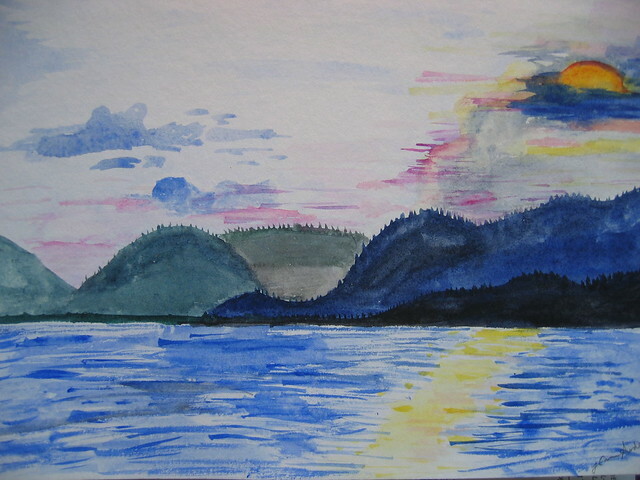 This entry was posted in Draw & doodle and tagged nature, painting, sweden, watercolours. Bookmark the permalink.